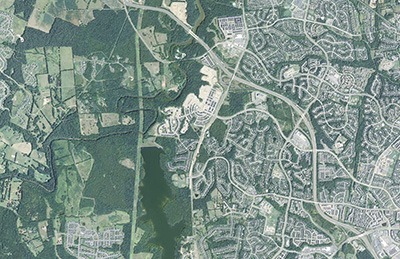 On behalf of the Goose Creek Association1 (GCA) whose mission is to protect and preserve the environment and quality of life in the Goose Creek Watershed which includes a large portion of the Transition Policy Area in Loudoun County. We are submitting the following comments regarding the Transition Policy Area. The GCA applauds your recognition of the citizens’ desire to retain a functional transition area that is true to its original definition stated in the Comprehensive Plan as a “…permanently defined policy area to provide a visual and spatial transition between the suburban development in the eastern part of the County and rural development in the West”. We are very encouraged by several of your recently published comments that denounce the direction the Stakeholder’s Committee has taken with the Transition Policy Area. This area has always been one of our biggest concerns due to its higher population density within the watershed and the current proposals have us extremely alarmed. The purpose of the Transition Policy Area according to the current Comprehensive Plan established in 2001, is to serve as a buffer between the suburban eastern part of the County, and the rural western part of the County. The Transition Policy Area includes restrictions on housing and development specifically to protect and preserve Loudoun’s rural landscape and its natural resources. Now, after 15 years of unprecedented growth and development, these restrictions have become even more important for the preservation of our endangered countryside. The proposal that we should remove our development protections because of “projected population growth” is only rational to those who stand to profit from the endeavor. This misguided approach would ultimately lead to losing the Transition Policy Area, and also eventually the Rural Policy Area, while further exacerbating all of our current population and congestion issues. The Stakeholder’s Committee should refocus their energy on solutions that operate within the current policy area boundaries, such as how to promote responsible growth in the Suburban Policy Area and how to manage appropriate growth in the Transition Policy Area. The citizens of Loudoun County have come forward almost unanimously in the Envision Loudoun meetings with sentiments that mirror our convictions. The citizen comments have been overwhelmingly in favor of limiting future growth and implementing additional protections of our natural resources. Please put your constituents first and reinforce the policy area restrictions that help preserve our quality of life, scenic landscape, and limited resources, in particular water resources, including drinking water, for future generations. 1 The Goose Creek Association (GCA) is charged with monitoring stream water quality, proposed developments, legislation, zoning changes, and other actions that have potential impact on the environment and quality of life in the Goose Creek watershed in Fauquier and Loudoun Counties, VA. We are a nonprofit 501C3 organization with hundreds of members who share a determination to protect and preserve the natural resources, historic heritage and rural quality of life found in this beautiful part of Virginia.